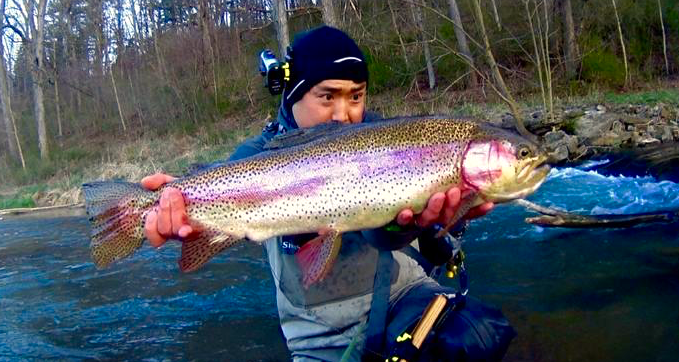 Experience World-Class Fly Fishing in Central PA! Looking for a great vacation in fly fishing paradise? The Odyssey Package is perfect you! Spruce Creek is an easy drive from most Mid-Atlantic & Northeast regions. It's all-inclusive! Just grab your rod and waders and go. Depart on the morning of your trip, & start catching monster trout that afternoon! The perfect getaway... Escape the hustle and bustle and enjoy 2 miles of private world-class wild trout water. Enjoy three nights in a private room at our beautiful stream-side lodge. Two half days and two full days of fishing, the perfect amount of time spent away. Like craft beer? The Odyssey Package includes Trout Haven's famous beer tasting. The Odyssey Package hours are from 12pm day one until 12pm day four.  "...If you are looking for a trophy trout fishing destination, with superior accommodations and outstanding guide service, I highly recommend you contact Trout Haven and schedule the trip of a lifetime..."
“Had a great time with Trout Haven! Thank you, Andrew. Fishing, accommodations, guiding - first class! I have to say the trip with with Andrew @ Trout Haven was amazing, the fishing was unreal and the setting matched it..."
I had a great time and appreciated your expert guiding and culinary skills. Will try to get back this year and bring a friend." Many, many thanks again to you and Tom. Best fishing ever. I WILL be back! Thanks for the pics and memories." Riffles, runs, eddies, pools... it's all here! Please submit the following information to inquire about booking a trip. You may choose any of the dates shown. May 29 - 30 (Wednesday - Thursday) Only a few spots left! All trips begin and end at noon on the specified dates.